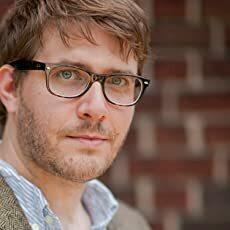 Jonathan Auxier is the New York Times bestselling author of The Night Gardener, Sophie Quire and the Last Storyguard, and Peter Nimble and His Fantastic Eyes, which the Wall Street Journal called “as delightful a magical story as readers … will hope to find.” He lives in Pittsburgh with his family. CLICK HERE FOR MORE STORIES BY JONATHAN AUXIER. 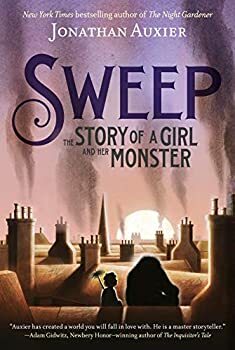 Sweep: The Story of a Girl and Her Monster (2018), by Jonathan Auxier, is a wonderfully, bittersweetly poignant MG/YA book that I highly recommend for its warmth and gentle eloquence. Set in Victorian England, Auxier’s Dickensian story focuses on young chimneysweep Nan, who grew up mentored in the field by The Sweep. When he disappears one night though, all Nan has left from him are his hat, her skills, and on odd lump of charcoal. Nan spends the next few years in indentured employment to the cruel, abusive Wilkie Crudd, but a near-fatal flue fire changes her life forever as she finds herself free of Crudd and a mentor herself, albeit to a child-like golem named Charlie rather than another chimneysweep.